Florence's (Gothic style) cathedral (AKA Duomo) is virtually visible from anywhere in the city. It is iconic with its magnificent Renaissance dome designed by Filippo Brunelleschi. 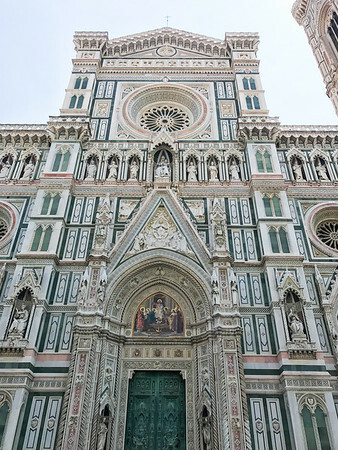 The cathedral named in honor of Santa Maria del Fiore. The Cathedral complex is in Piazza del Duomo. The main structures are the Cathedral, Baptistery and Giotto's Campanile.